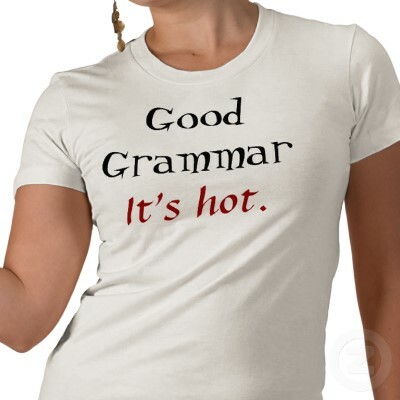 I think good grammar is important and attractive! As a VA, it is part of my job to notice grammar, spelling and the proper use of words. Common mistakes can do serious damage to an otherwise stellar reputation. Think about the image you project and proofread, do some research, look it up…or ask me! Et la prochaine fois, je continuerai avec mes 10 règles de la nouvelle orthographe en français pour les lecteurs francophones. I will share some basic rules and talk about common mistakes over the next few weeks. Eating healthy foods that are low in fat reduces the risk of some cancers. It sounds correct, right? Well, yes and no. It depends on whom you ask. There is an ongoing debate over the usage of healthy versus healthful. Some say healthy should be used to refer only to the wellness of living things (for example, a healthy body), while healthful is the word of choice to refer to anything that promotes good health (like food, exercise, etc.). Others believe that both words are acceptable to use in reference to health-promoting substances or practices (for example, healthy or healthful food). Healthy is used more often than healthful, by far, and it is stated as correct usage by reputable sources. So take your pick.